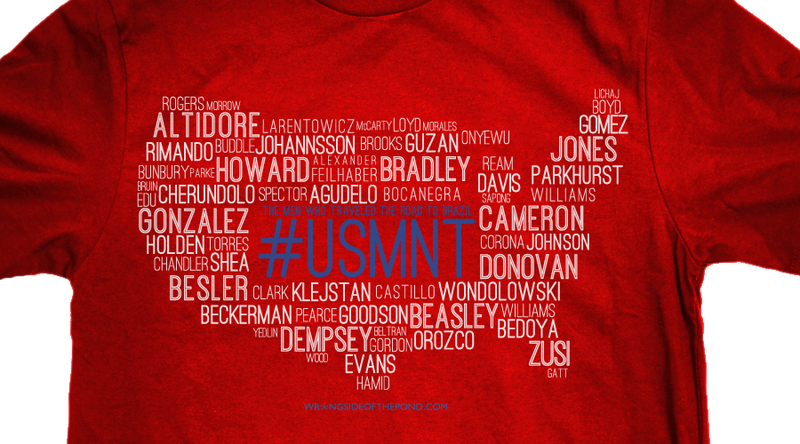 I’m a little ashamed to admit this, but it wasn’t until around a month ago that it dawned on me that I didn’t have a single design in my stable of shirts in the WSOTP Shop that paid tribute to the US Men’s National Team. And with this summer’s World Cup just around the corner, that seemed almost criminal. So earlier in this week, I dropped a teaser for a design that I’ve been working on for the last week or so that I think is suitable to fill the gap… and it’s spawned much more than I could have ever imagined! But that’s not all, my friends. 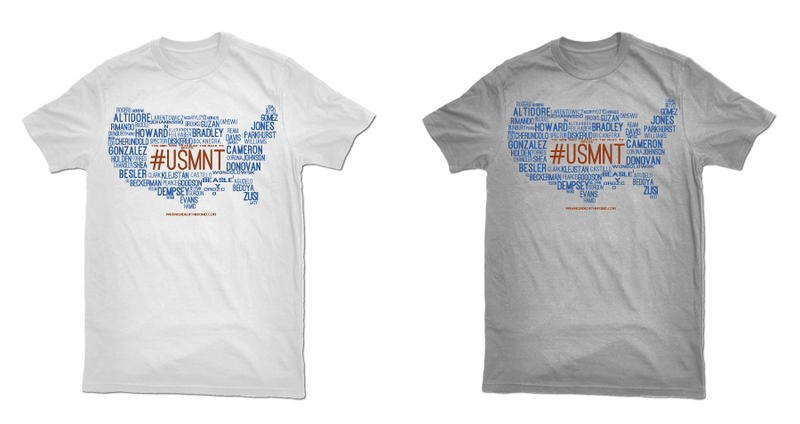 In addition to all of the positive feedback I’ve gotten for the American-inspired design, I’ve also had loads of requests to come up with designs for other countries playing in Brazil this summer, too. So I’ve got a number of teams already in the works: Germany, Spain, England, Italy and hosts Brazil… thus forming my first ever “line” of shirts! If there’s sufficient interest in other teams, I’ll be willing to make one for them, too. Be sure to watch this space and follow me at @wrongsideofpond for updates on the next countries to be added. keinen Menschen zu anstrengenden Übungen auf.